Most people know good nutrition involves eating a certain amount of fat in our diet but not everyone is aware of the hidden fat. Often we don’t realize that sweet foods like muffins and other pastries can have more fat than sugar. Want a recipe for a better bran muffin? 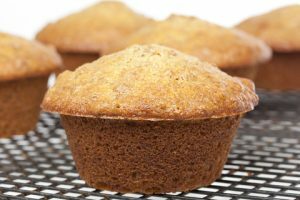 Here is an example of a healthier bran muffin using applesauce and non-fat milk. Many others can be found with a Google search. A fresh bran muffin aids a healthy immune system with plant-based nutrition. Heading to the movies this weekend? Think the popcorn will be a good choice over candy or other available snack food? 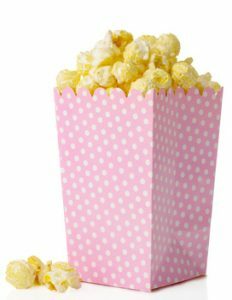 The popcorn found at movie theaters is not a healthy lifestyle choice because it is usually popped in coconut oil, and a large-sized popcorn at the theater could have 60 grams of fat, according to a 2009 analysis conducted by the Center for Science in the Public Interest. Choose air popped popcorn as a more nutritious choice for a healthy lifestyle. Still enjoy the occasional beef stew or steak? According to a blog on the Organic Consumers Association, “Grass-fed beef is up to three times leaner than grain-fed beef, and can have up to 15 fewer calories per ounce than meat from a grain-fed cow. Grass-fed meat also provides more and more balanced omega-3s and omega-6 fatty acids, which help guard against a variety of ailments.” Adding more omega-3s also helps build a healthy immune system. Gwen O’Neill has been a gardener for over 40 years and has always been a passionate cook. Her own health challenges led her to experiencing a variety of healing modalities. After finding that her health improved with eating more whole food and improving her nutrition, she committed to sharing this experience with others.